And thus it ends. 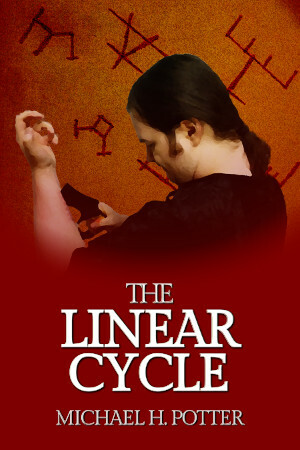 The concluding part of The Linear Cycle, titled “The Final Sacrifice”, has now been released to all. With that, the story has reached its final chapter. For this one, the action goes back to Midra, back to where it all began. But everything is different now, thanks to the Touched. The Valtian Empire is a hollow shell of its former self, and its neighbors can see that. The kingdom of Esteca, sensing weakness, wants to strike at its heart. With its population decimated, its best weapon neutralized, can the empire survive? This one was hard. It really was. In the end, I had to break my word count, going over 20,000 ever so slightly, but I feel that was worth it. This one’s back to the action, but with that drama underneath, and the ending might be one of the wildest things I’ve ever written. As with the other parts of The Linear Cycle, the link above will take you to the post here. You can also check it out on Patreon or pick it up for the low price of $1.99 on the Kindle Store. However you do it, I hope you enjoy this finale, and I thank you for coming with me on this epic journey. So it’s Labor Day. (And it really is. For the first time in a long time, I’m writing a post just before it’s posted, rather than weeks or months in advance.) If you remember a while back, I announced something called the Summer Reading List. Well, today’s the day to put the books down and take stock of what we’ve accomplished through the summer. Here’s mine. This is the third part of Sanderson’s second Mistborn series, and I initially thought it was the finale. (Trilogies are usually 3 books, right?) Apparently, he had a bit of a Douglas Adams moment with this one, though, because it’s actually supposed to be 4. Anyway, on to the book. It was good, I’ll admit. The not-quite-steampunk setting turned out to be a lot more fun than I expected, and the various ways it connects with the original Mistborn trilogy bring about some fond memories. The action is often cinematic, and the characters are…quirky. Not the word I want, but the one I’ve got. Some of the story elements are pretty bizarre, especially in the final third of the novel. 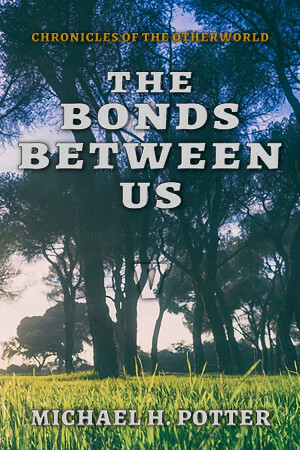 All in all, it’s a good read, a good continuation of the story, and it left me eagerly anticipating the next book in the series. On the other hand, Bands of Mourning wasn’t without its flaws. Chief among these was the prose, which sometimes felt off. Maybe it was my copy, and maybe it got fixed in a later edition, but the prologue was especially hard to read. I’m the last person to give myself praise, as you probably know, but I’d say that I could write that part of the story better. But I’ll have a post talking about that later in the year, so let’s move on to our next contestant. Space has always fascinated me, and it always will. In the absence of interesting missions today (and for the last 40+ years), I don’t mind delving into the history of spaceflight for a good read. Kluger, as you may know, was the co-author of Apollo 13 (or Lost Moon, as it was titled before the movie came out). You wouldn’t think the sequel would back up five numbers, but there you go. Apollo 8 was the first manned mission to reach the moon, and it was a great tale even before Kluger got his hands on it. Still, if you like space, especially the early years of exploring space, this one’s worth your time. And some of the backstory elements were more than worth it, like the deeper look at the Apollo 1 fire investigation. Also, the mission itself really was grand. I mean, they went to the moon. They orbited it for a day. On Christmas Eve, no less! With manned spaceflight in the eternal holding pattern of low-Earth orbit, looking back is all we’ve got, so let’s look back to our best, right? I’ll just go ahead and say this right now: Nathaniel Philbrick might be the best author of American history alive today. He’s certainly one of the most accessible. And this is one I didn’t even know he wrote until I saw it on a…certain virtual bookshelf. If you read (or watched!) In the Heart of the Sea, you’ve got a pretty good idea of Philbrick’s style and content. The Last Stand takes a single event in American history, Custer’s Last Stand, and dissects it, takes it down to its very core. And, unlike so many historians, he does it for the other side, too: Sitting Bull and his warriors get their day in the sun, too. Of course, like any good popular history book, the battle itself doesn’t get started until halfway through. We don’t so much as see the Little Bighorn for quite a few chapters. And the worst of it’s over quickly, just as it was in reality. I’m not well-versed in the history of 19th-century America, especially that of the Wild West, so I can’t really tell you how accurate the book is. But we’re talking about an author who is very meticulous when it comes to his research, so I’ll give him the benefit of the doubt. And it’s always nice to see the “real” truth behind a legend, particularly one you’ve never considered before. That’s how I was here. The last time I so much as thought about Custer and his doomed stand was when he made a brief appearance at the end of Hell on Wheels. It’s not a period of history, or a person from history, that I’d go out of my way to research. But I thought the same of the Essex and Charles Wilkes, so there you go. For most of the summer, I was busy reading my own books, writing and editing and revising them. By my own choice, I barely had time to read the three I named above. But that’s the point of the Summer Reading List challenge. It’s a challenge. It’s supposed to be more than you’re used to. So I think I’ll keep doing this in the future. Maybe you won’t, but I will. It’s fun, and it’s a great excuse to read something you probably wouldn’t otherwise. And if it means staying out of the vicious heat of summer, then so much the better. Bring on Memorial Day 2018, I say. At this halfway point in the first Otherworld season, I’d like to take a look at the storylines I’ve created, because some of them are, in my all-too-critical opinion, actually pretty decent. The main story, of course, is the accidental expedition to the Otherworld. That one hangs over everything, as it will throughout the remainder of the season. And this story brings with it a lot of others. It puts the focus on survival, adaptation, integration. It’s a story not only of exploration, but culture shock and the simple sense that, hey, we’re somewhere else. These characters are farther from home than they ever thought about going, and most of them aren’t exactly ready for something like that. In a way, the “student dig” setup helps lead into that. For some, even leaving the country of their birth was hard, not to mention leaving the whole planet. Others were used to travel, or they’re used to the outdoors, and so it’s not quite as difficult for them. That creates a bit of friction, especially once you factor in the different personalities involved. Jenn, for instance, is always preaching safety and care (except when she’s involved), while Ryan continuously argues for more freedom and a deeper integration with the alien society. Amy has never really been away from home before—if you count college as “home”—while Lee’s was broken long ago. Everyone gets to cope with the reality of the situation in his or her own way, and the POV sequence, I think, allows a good look at that struggle through most eyes. Once the characters can accept the mess they’re in, mere survival is forgotten. They’ve already succeeded at that, so it’s time to move on. Being curious young men and women, it’s only natural that they immerse themselves in the world they’ve discovered. It’s not like the Spanish, where they deliberately set out in search of gold and glory. No, this was an accident. Some want nothing more than to get home as soon as possible, but the rest are perfectly willing to explore this strange place. Episode 3, for example, is all about that exploration. But the Otherworld is much, much bigger than a couple of towns and villages. In Episode 4, as readers of the series have now learned, there’s a visit to a larger city in store. That change of scenery brings with it a chance to see a new side of the inhabitants of the world, and we’ll get to return to that a bit later on. As the story progresses (especially once we get past this first season), the Otherworld begins to open up. The characters find themselves in more locations, and each of those locations has its own unique perspective. They all fit into the story in different ways, and that was a very interesting part of the worldbuilding. It wouldn’t be a TV-style drama without action sequences and suspense. We see a bit of that in Episode 4, particularly Chapter 6. (No spoilers here, but I’ll gladly admit that the aftermath of that character death always strikes a chord within me. And I wrote it!) Later on, we’ll get a lot more. That’s not because I felt the need to fulfill a quota, so don’t think that. No, it’s just that the story seemed to be going in that direction. Well, except for the action bits of Episode 7. That one was more because I couldn’t think of anything else to write, and I needed something to fill the last two or three weeks of in-story time. Ultimately, all the “side” plots, whether action, study, suspense, or simply learning to live within the strictures of the Otherworld, boil down to one: getting through the day. For all of the main characters in the expedition, this whole journey ends up being a life-changing experience. Through the eighty days of the Otherworld, they grow, they change, sometimes in ways even they didn’t expect. In some cases, it’s like they become more of what they already were. For others, it’s a more fundamental change in attitude. A couple of them will even do a complete 180 on some of their opinions. That was one of my goals with this series. I wanted to create a vibrant, living world, but I also wanted to make characters that would fit it. They can’t do that if they’re stuck being the same old people. No, they have to evolve, too. Sometimes, they evolve in ways I never anticipated—Ashley is the main one here, as you’ll see later on. Others (like Alex) mostly follow the trajectories I’d always envisioned. However it works, I’d like to believe that I succeeded in my goal of creating three-dimensional characters that act and react and grow and change like real people. All along, that was what I wanted most, and there were many times that I asked myself what I would do in a particular situation. Knowing that, I could better guide my writing. As I have grown more comfortable with the characters, however, I find that I don’t need to ask myself that anymore. No, now I can ask what they would do, and I’d call that mission accomplished. We’re halfway done with Season 1, but that’s nothing. We’ve still got four more of these little chat sessions to go, and then we can start looking at the postseason. Oh, and Season 2. As of this writing (about a month and a half before its posting date), I just finished a draft for the second episode of that. So don’t quit on me now. Unlike TV, this one isn’t getting canceled right as it’s getting good.